It was a joyous day at Faleula Primary School yesterday. This was after they were donated more than 50 desks, chairs and storage trolleys from the Church of Jesus Christ of Latter-day Saints (L.D.S.) Charities in partnership with Furniture for Schools. A representative missionary from L.D.S. Charities, Elder Cameron said it is all for educating the children of Samoa who are the future of the country. “The school asked for 50 chairs and desks but we brought more than 50 of those requested items and additional storage trolleys. “All the equipment we came with will help a lot of kids to have proper educational learning environment. “My wife, Sister Cameron and I, are from Canada and we are volunteer humanitarian missionaries and wherever there is a need for help, we assist,” said Elder Cameron. Sister Cameron spoke about the reason behind the work they do. 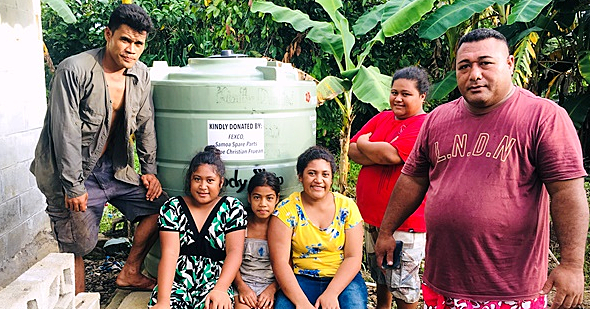 “We have done previous assistance for families who are in need of water tanks. The majority come to us in our headquarters in Pesega and requested for support. “We love to serve everyone and it doesn’t matter what religion or nationality they are from, we help anyone in need. “We follow the Saviour Jesus Christ and he served everyone and that is what we do, we want to serve everyone,” said Sister Cameron. Faleula Primary School Principal, Selau Maulolo Futi conveyed her appreciation for the donation. “I thank God for this great assistance from L.D.S. 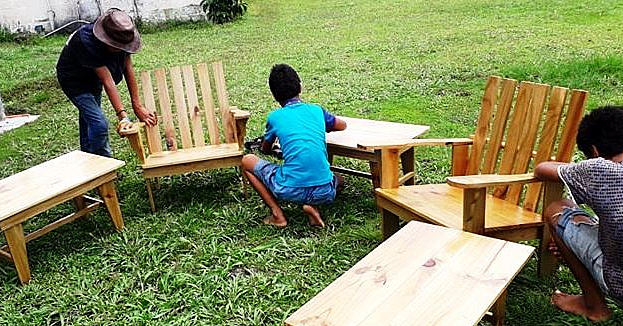 church, Furniture for Schools and their continuous support for schools in Samoa. I hope God blesses them for their great generosity. “The school furniture will be used by the students to have a well facilitated classroom so it can be easier for them to learn,” she said. She said they have many needs and they try to address it by looking for assistance. “For the time being we are in need of supplies of stationery, library books for the students and some teaching materials too. 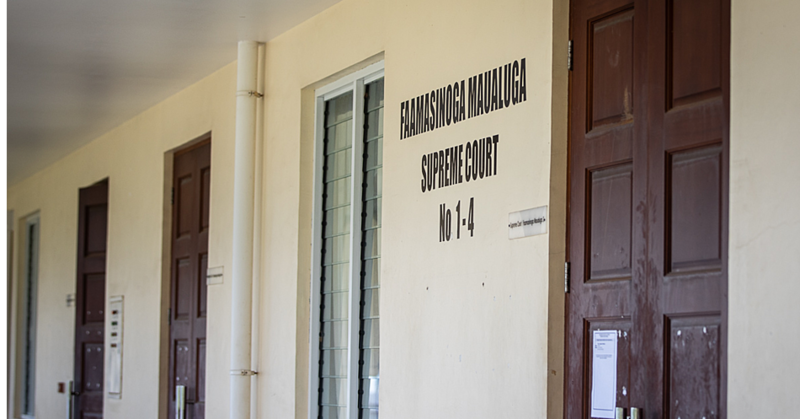 “We have a grant from the Government, which is divided into five or six categories such as fixed assets, teaching materials, student materials, and also repair and maintenance. “We have a lot of needs, which cannot be covered from the government grant. “There are 285 students in our school and we want to cater to their educational needs, but we need assistance to help us carry that out,” she added. Ministry of Education, Sports and Culture (M.E.S.C.) Acting A.C.E.O., Tailetai Faaulufalega, spoke on behalf of their Ministry. “Everything has to go through M.E.S.C. in terms of operating of all schools, L.D.S. Charities contacted us on the day to present to the schools and our role is to coordinate this to the school. 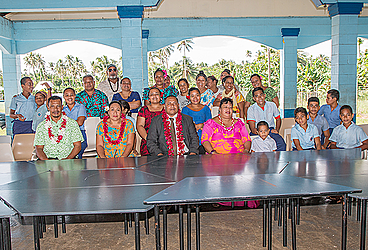 “The donations presented to Faleula Primary School will help address some of the issues with the shortage of funds for resources needed by the school. “It also eased a burden for us in terms of trying to cater to the numerous resourcing needs across various schools.” he said.